This time of year calls for wonderful fall recipes that fill your bellies and souls, like stews and soups. 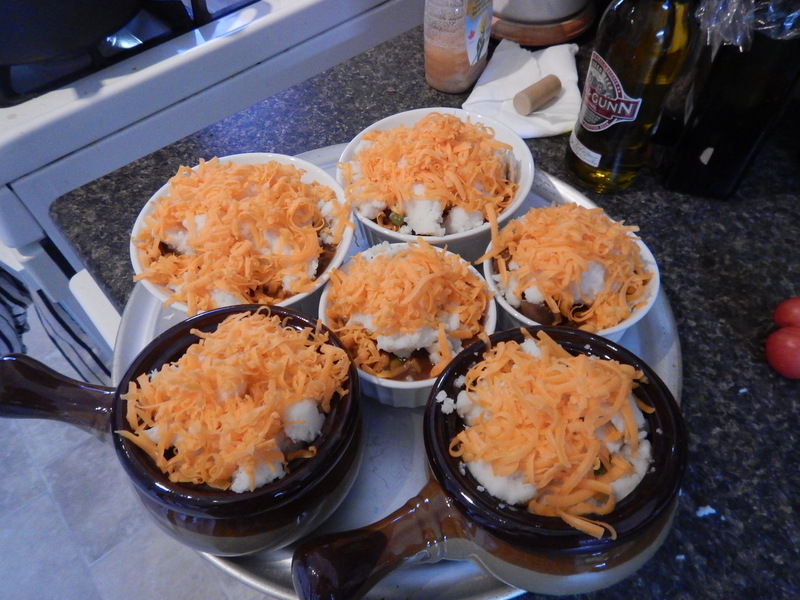 This one was a take on Guinness beef shepherd’s pie. Since we didn’t have Guinness in the fridge, I substituted it for another (local) dark ale. Start by warming up a large cast iron pot with a little oil in the bottom. Cook down all your veggies and spices until nice and soft. Next, time to pop in the beer. 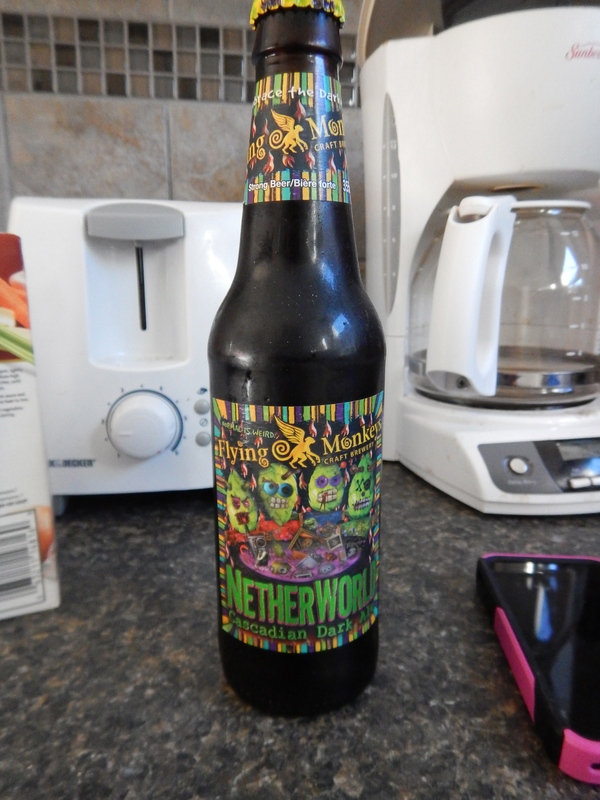 I used Flying Monkey Netherworld Dark Cascadian Ale. You can use anything really, but the darker the beer, the more flavour it will have. Add your stock and beef back into the mix at this time too. 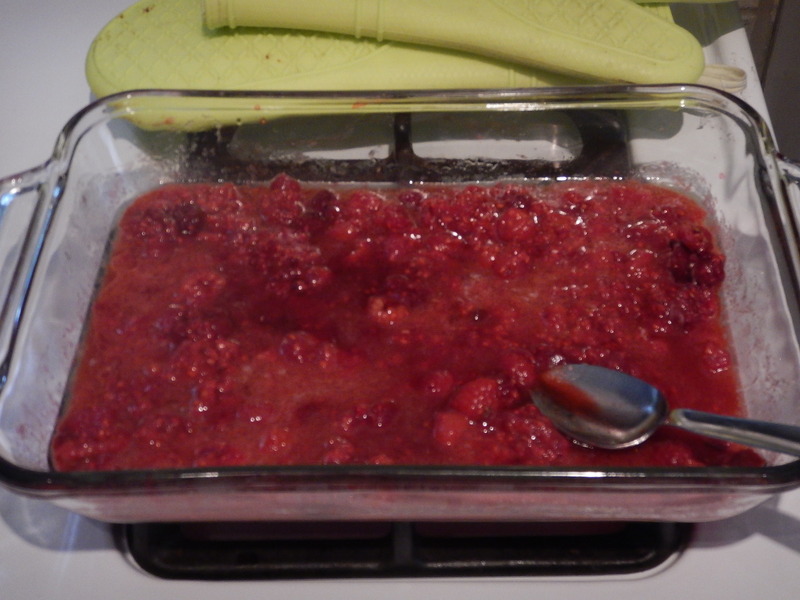 Then, braise it in the oven for and hour and a half with the lid on. Your whole house will smell amazing! Here’s how it looked when it was all done. It had a deep, rich gravy and had incredible flavour. Fill your individual ramekins with the tasty stew. I had company over, so I filled all the ramekins I had. 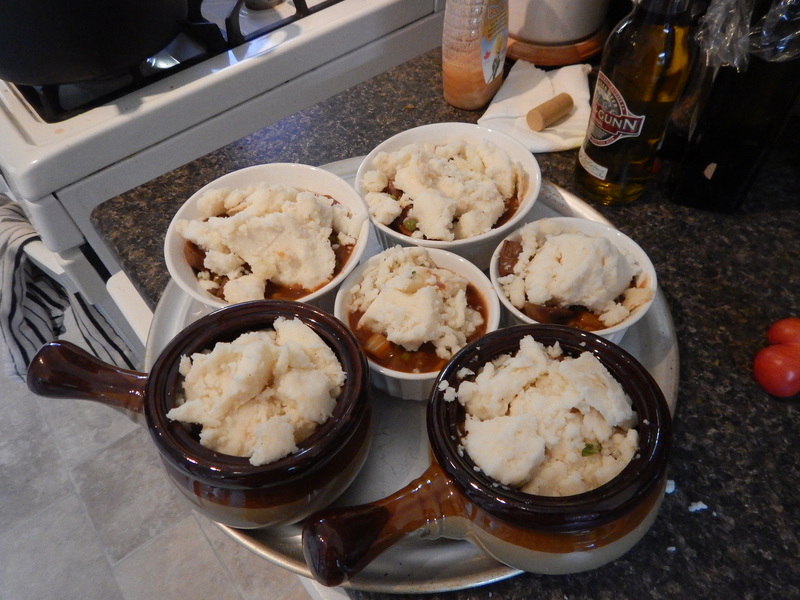 Then, top the stew with some leftover mashed potatoes. Then, top it with sharp cheddar cheese. Voila! An amazing individual pie with a full, heaping load of flavour. 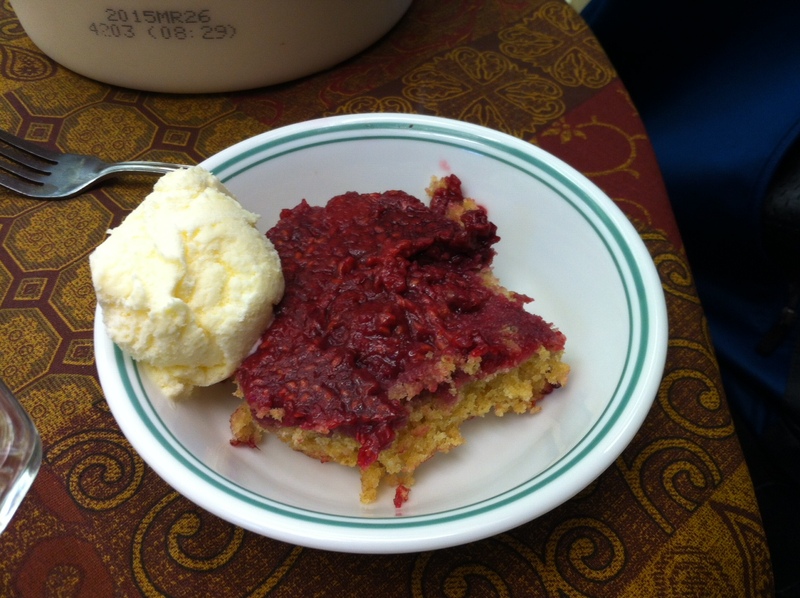 Make this recipe today. It definitely suits the weather. Position the oven rack in the middle and preheat the oven to 350 degrees. Pat the beef dry. 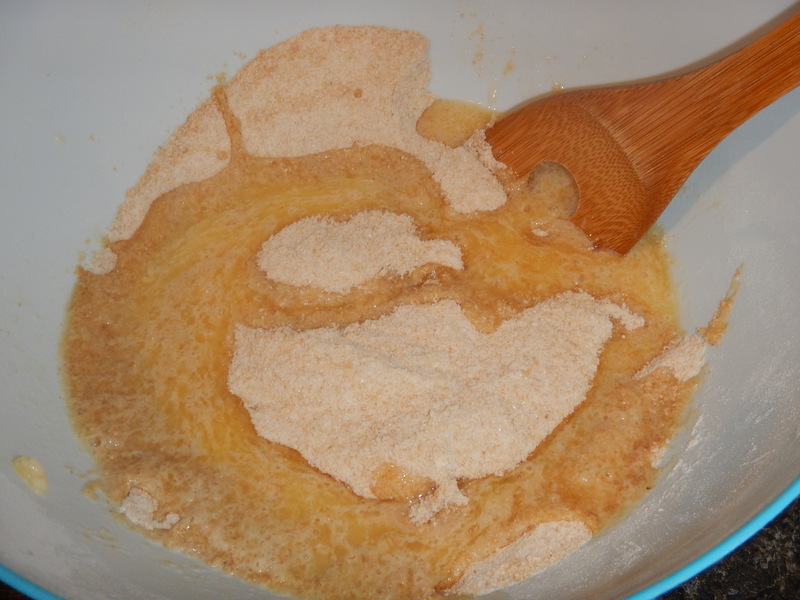 In a large bowl, whisk together the flour, salt and pepper. Add the beef and toss well to lightly coat all the pieces. 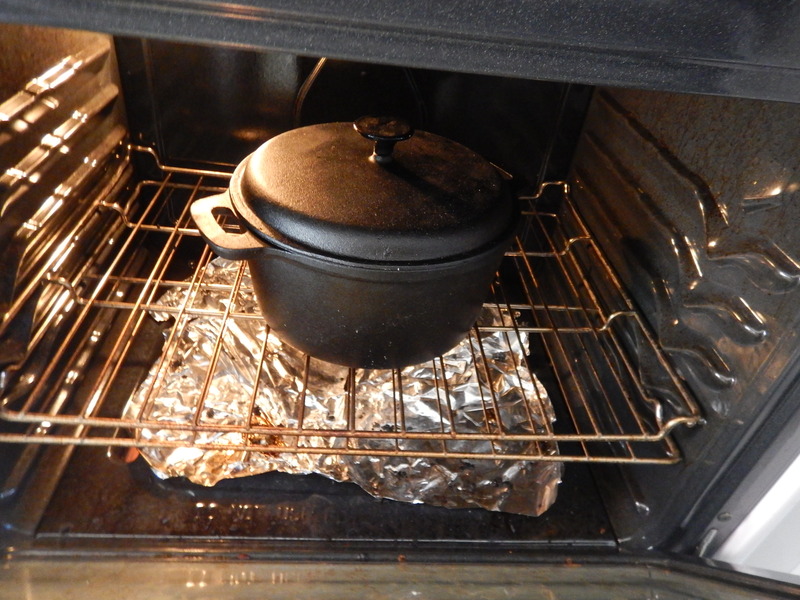 In a Dutch oven or large, ovenproof heavy pot, heat the oil over medium-high. You want it hot, but not smoking. Sear the meat, stirring occasionally until well-browned, about 5 minutes. 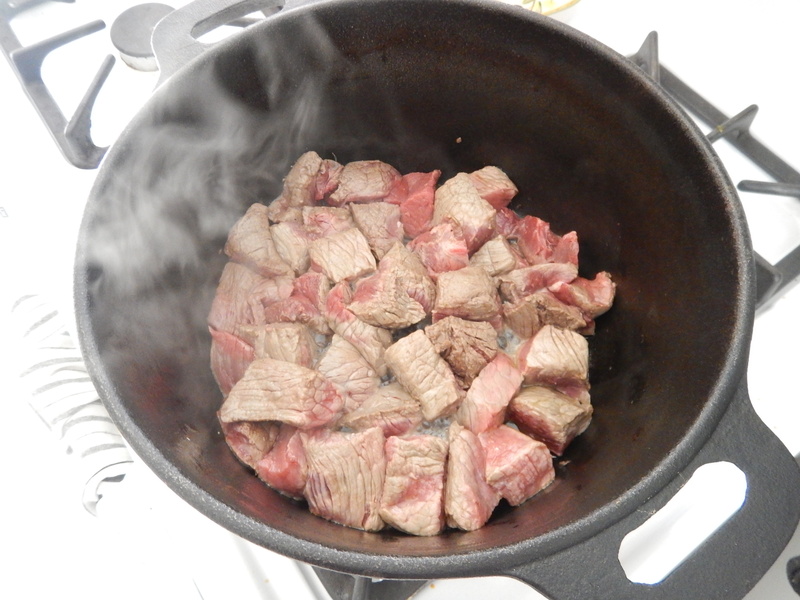 Transfer the browned meat to a bowl with a slotted spoon. 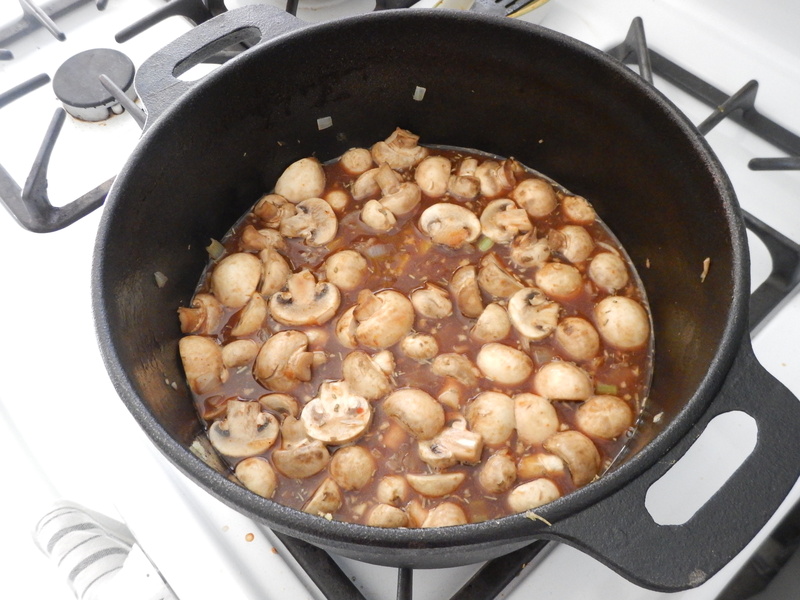 Add ½ of the beef stock, onions, garlic, mushrooms and celery. 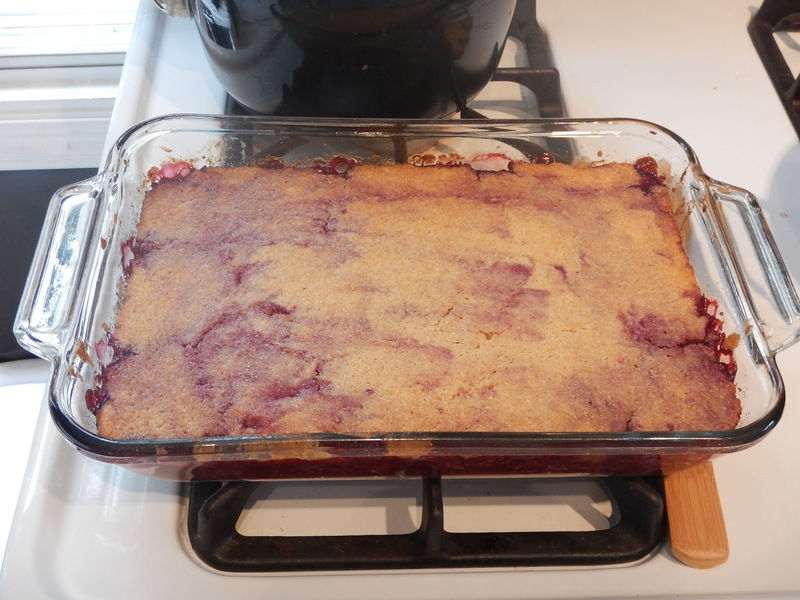 Season with a little more salt and pepper and stir, scraping up any browned bits on the bottom of the pan. Cook for about 5 minutes; add the tomato paste, remaining stock, beer, Worcestershire and rosemary. Add the beef, along with any juices in the bowl. 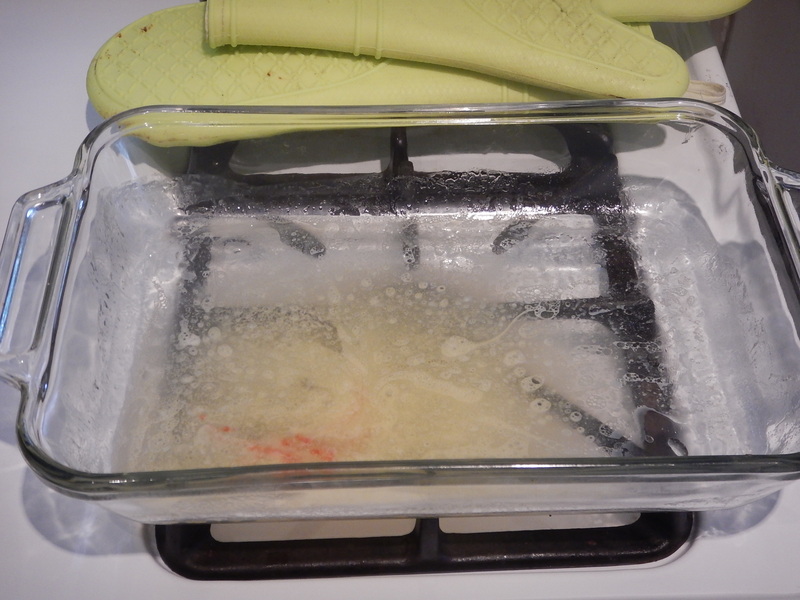 Bring to a rapid simmer, cover and transfer to the oven. 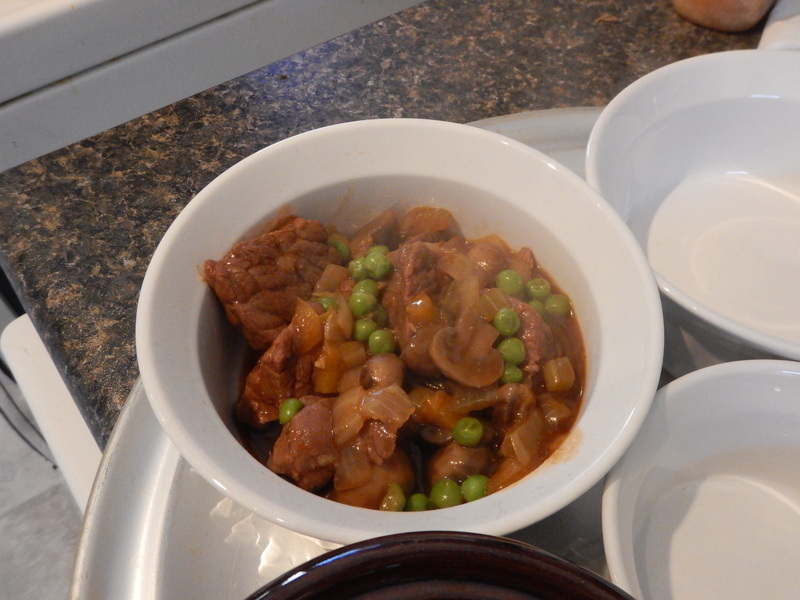 Braise until the beef is very tender and the sauce has reduced, about 1-1/2 hours. Meanwhile, make the mashed potatoes, if using. 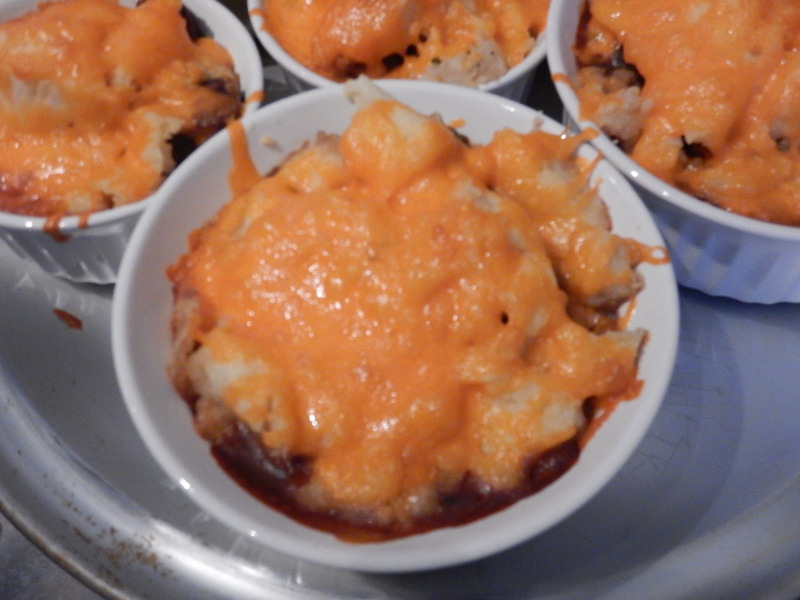 If you have leftover mashed potatoes, lucky you! Go read a book or watch a movie. Remove the pot from the oven. Add in the peas. 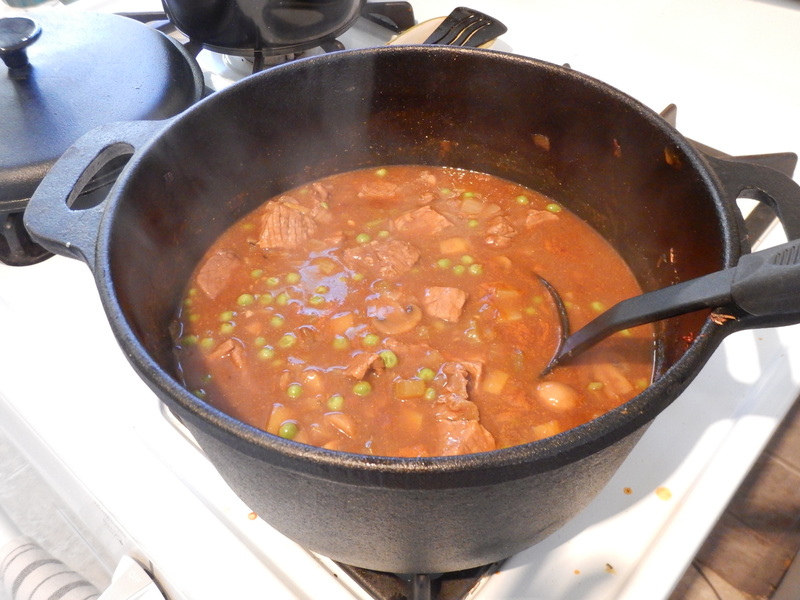 Place the pot of stew on the stove over medium heat. 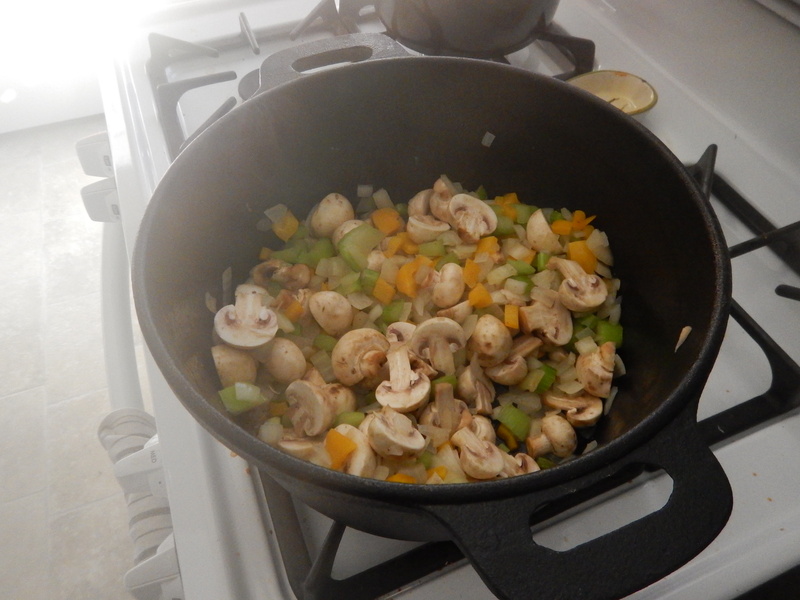 Add the cornstarch slurry, bring to a boil and cook until nicely thickened, about 5 minutes. Taste for seasoning and let cool slightly if using the potato topping. Turn the oven up to 400 degrees. 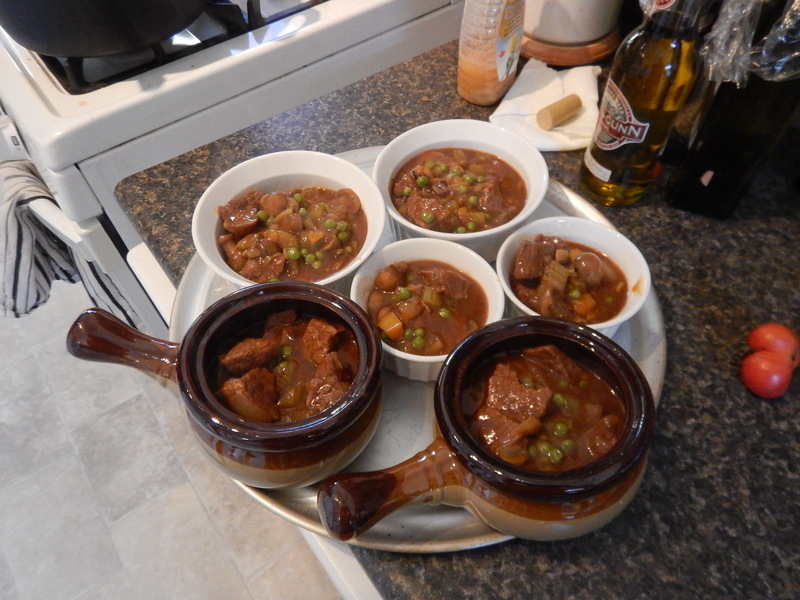 Spread the stew into a casserole dish. 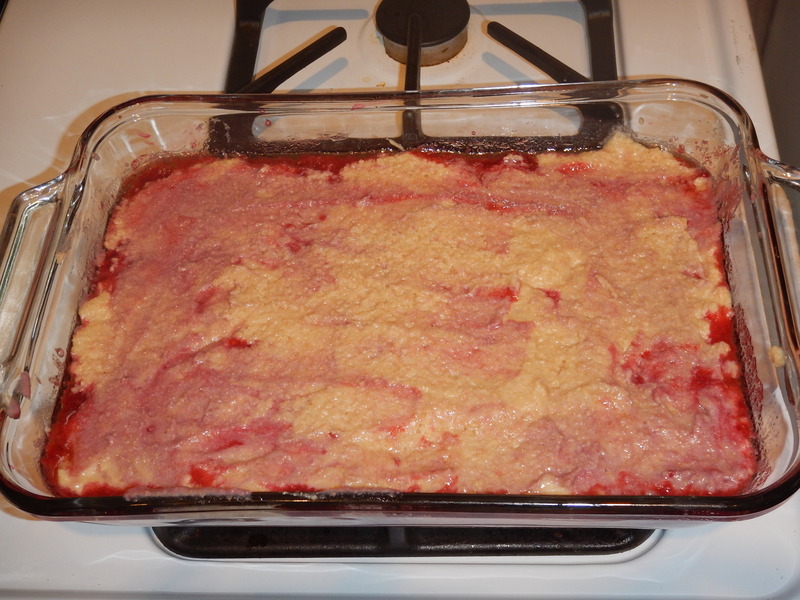 Top with the mashed potatoes, starting around the edges to create a seal and to prevent the filling from bubbling up (some will but that’s okay). Sprinkle cheese on top. Place the dish on a large rimmed baking sheet and bake until the potatoes just begin to brown and the cheese melts, about 20 minutes. Let cool for 15 minutes before serving. 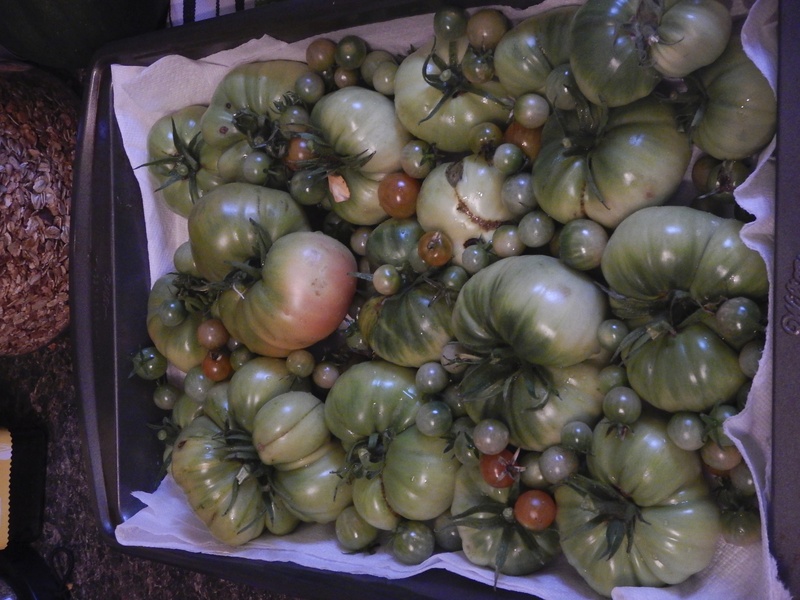 We were very fortunate to have a great harvest this year. The garden boxes did wonders at keeping the moisture under control in the yard. 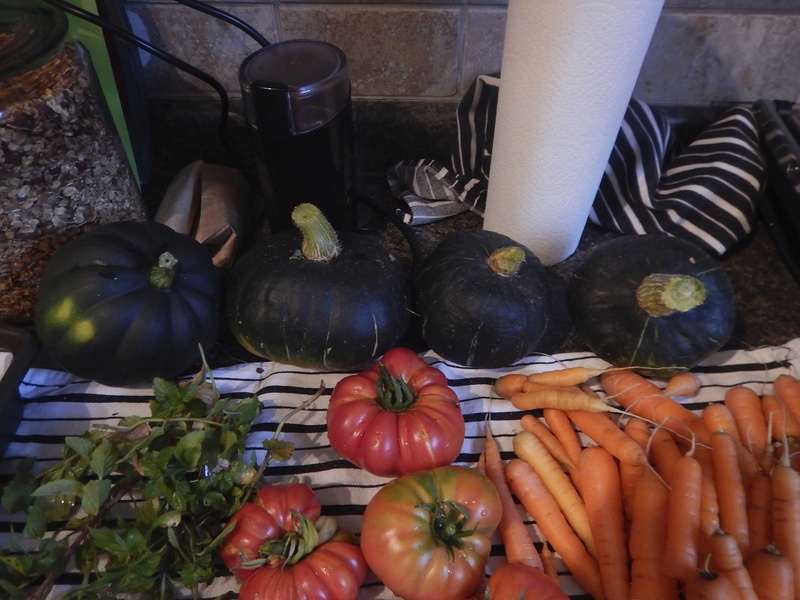 Here was our yield from when we did the full harvest a few weeks ago. The heritage tomato plants my mother-in-law seeded for us produced amazing, bulbous, pink tomatoes that were so sweet and beautiful. 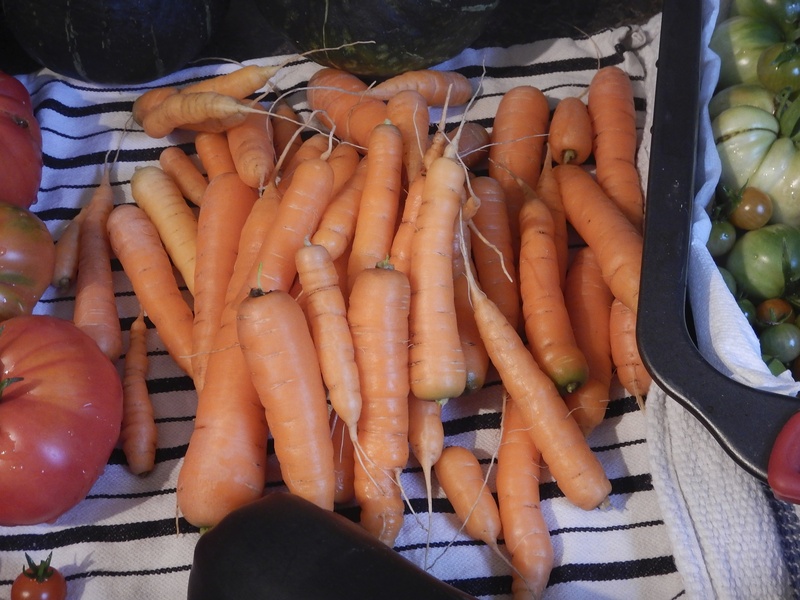 We also grew a decent stack of fresh carrots as well. 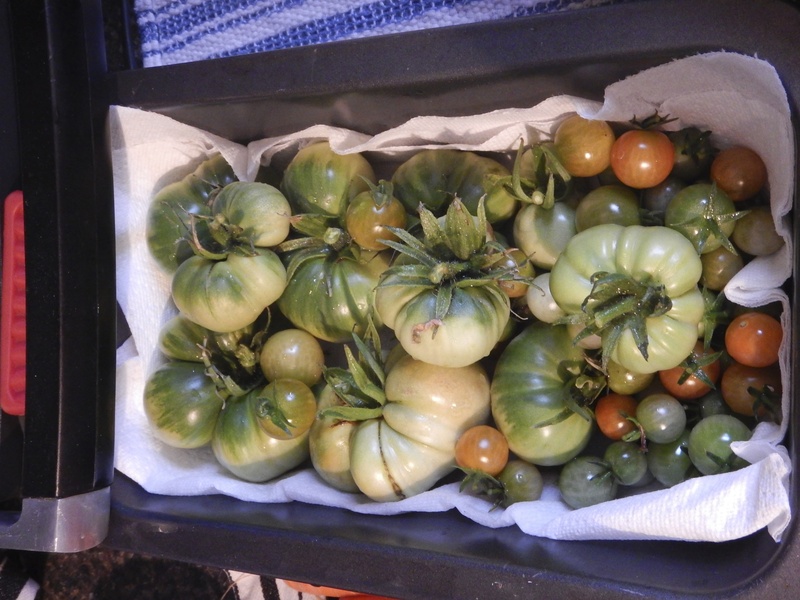 A lot of the tomatoes were not red yet when we picked them, so we let them ripen under a tea towel on the counter. 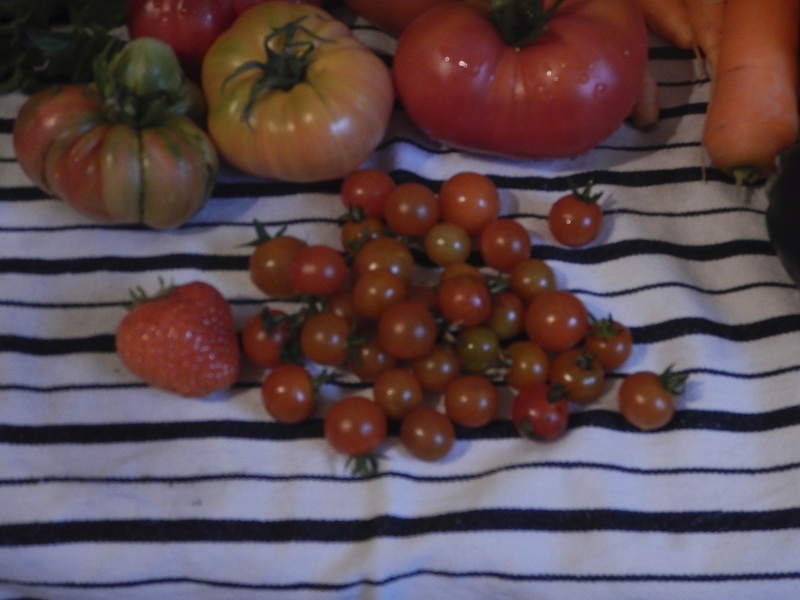 We had tons of cherry tomatoes as well, and one solitary September strawberry. Beautiful! 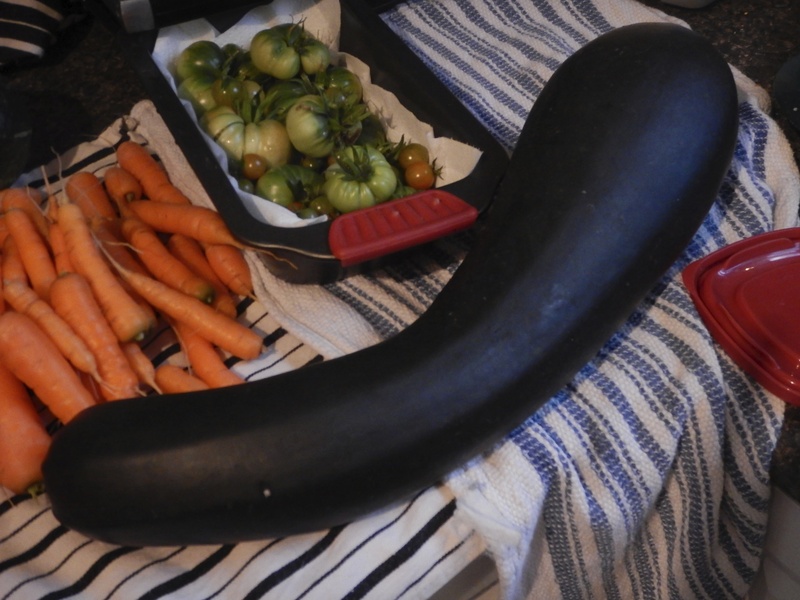 We also grew a mammoth zucchini. Any suggestions on what to do with such a beast? 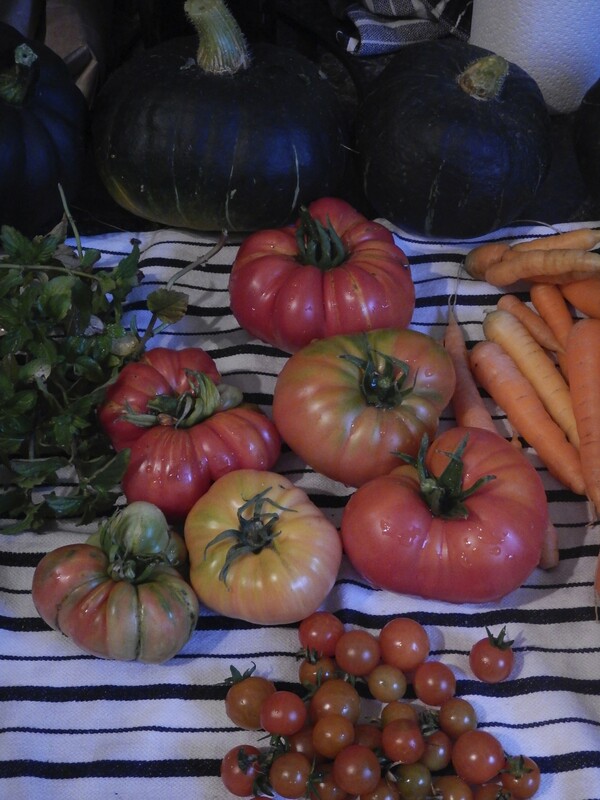 Here are some more beautiful heritage tomatoes. 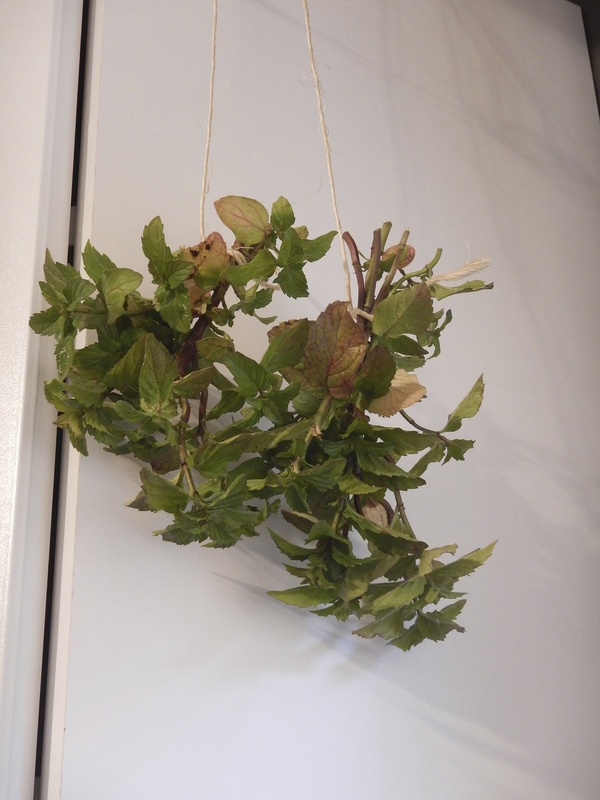 We also snipped all of the mint leaves, so that we can dry them and make tea throughout the winter. It works wonders for colds and just sipping on a chilly evening. All in all, we had a great gardening year! I can’t wait to expand next year and grow more goodies!